A group of seventeen Dutch Military members of the Hindu faith lead by Acharya Krishan Kant Attri MBE, the Hindu Chaplain HM Forces UK paid a visit to the Headquarters Brigade of Gurkhas on 10th October 2017. Last year a few of Brigade of Gurkhas Punditjis were part of the HINDU faith group from UK that went to visit the Netherlands. 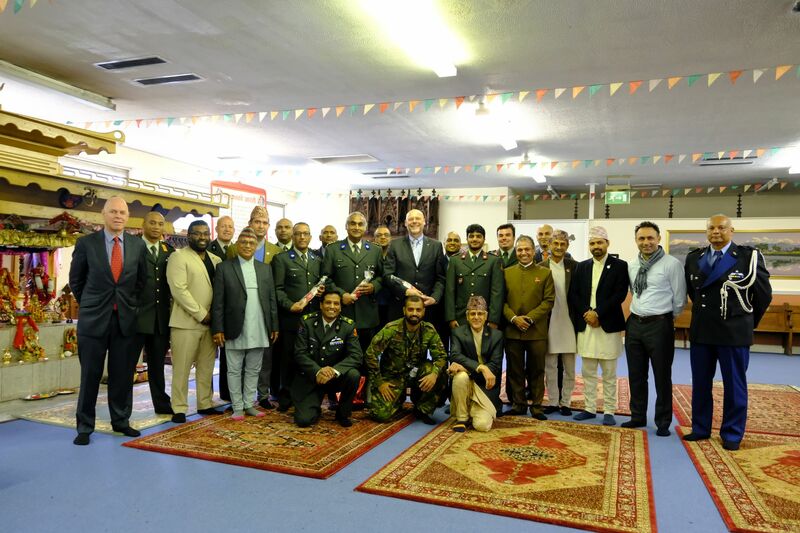 Amongst the group was the Director/Independent Chairman of the Chaplaincy Services Ministry of Defence Netherlands. Colonel Brigade of Gurkhas, Colonel Robinson and Deputy Chief of Staff, Major Narendra Gurung welcomed the group with khadas as per our Gurkha tradition. The majority of Brigade of Gurkhas Punditjis were also present. As part of their visit the Dutch military members visited the Mandir in the Royal Military Academy Sandhurst and also had the opportunity to visit the Indian Memorial Room at the Old College where they were briefed by the Deputy Curator Mr Sebastian Puncher. 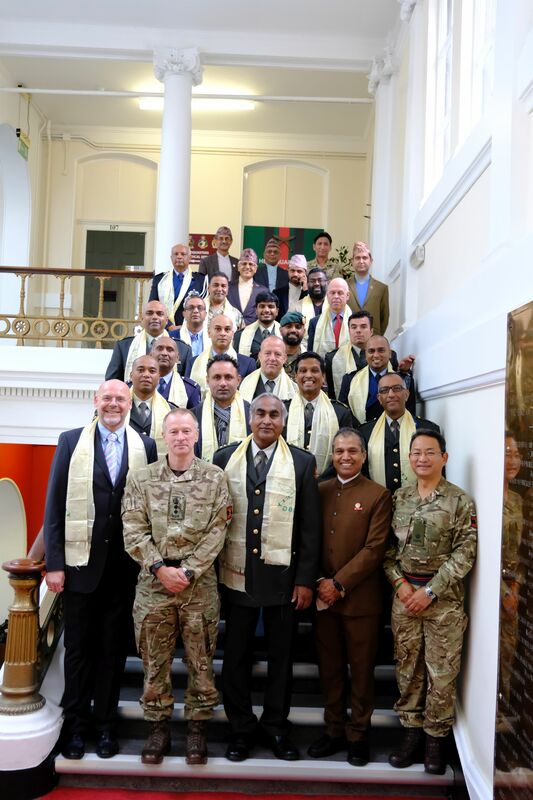 The group were later briefed by Major Narendra Gurung (Deputy Chief of Staff) on various past and present aspects of the Brigade of Gurkhas and the importance of available pastoral care within the Brigade of Gurkhas.